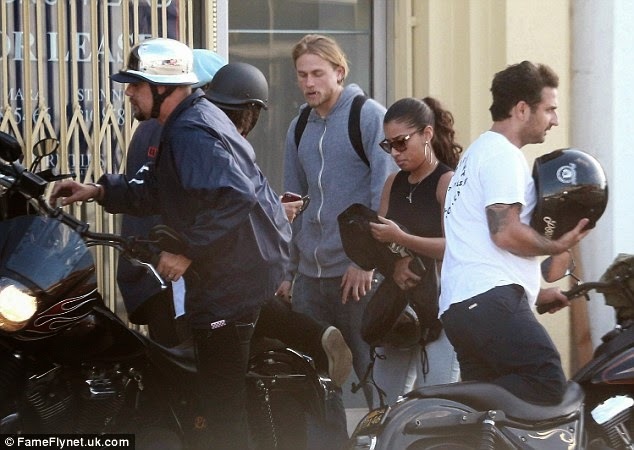 He has played rebel motorcycle gang leader Jax Teller on TV hit Sons Of Anarchy for six years. And it's clear that his character's hobbies have rubbed off on Charlie Hunnam. 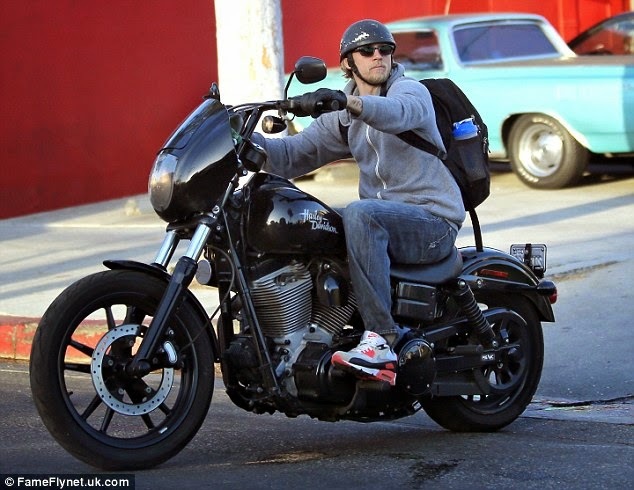 The 34-year-old British-born actor spent Sunday hanging out with his biker buddies in West Hollywood. 'The first season for me was a total write-off in terms of acting because I was completely consumed with trying to do the accent, which I'd never done before,' he told The Hollywood Reporter. 'It really contained me and controlled me so that I wasn't free to make the moves I wanted to make as an actor. By midway through season two, I think I got that under control.' Starring in the acclaimed drama also propelled Hollywood producers to take notice - Charlie appeared in Guillermo del Toro's Pacific Rim last year, and teams up with the director again in horror flick Crimson Peak, to be released next month. 'I think I'm a much better actor than I was at the beginning of the show,' he said 'It was like going to an Ivy League school with [Showrunner] Kurt Sutter being the mad professor that pushes us all to do our best work.